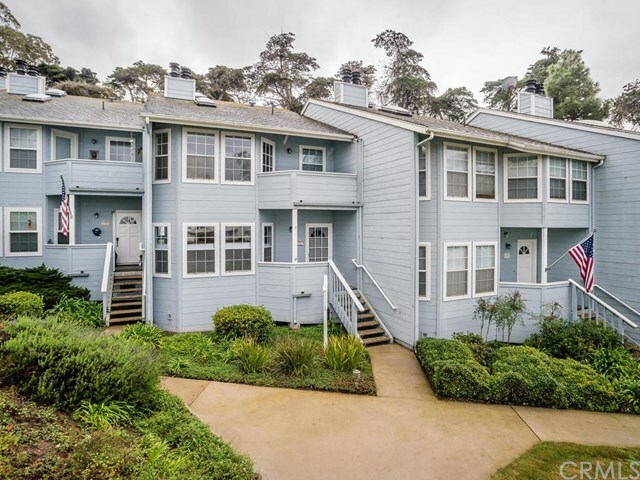 Great location in beautiful Bayshore Village on the bay in Morro Bay. A 2 story with 3 bedrooms 2 1/2 bath and double car garage. Easy access from garage entry into the kitchen, living room dining room area. Tile counters, downstairs has pergo flooring and upstairs carpeted. Very private and location in Bayshore Village..... Downstairs has 1/2 bath, upstairs full bath in hall and master suite has large remodeled walk in shower. View of bay from 2nd bedroom and peak view of bay from living room corner window. Lovely well taken care of home in choice location near Morro Bay Golf Course and Bay.